Several messages have gone viral on social media that warn parents to avoid oral polio vaccine to kids below the age of five years. 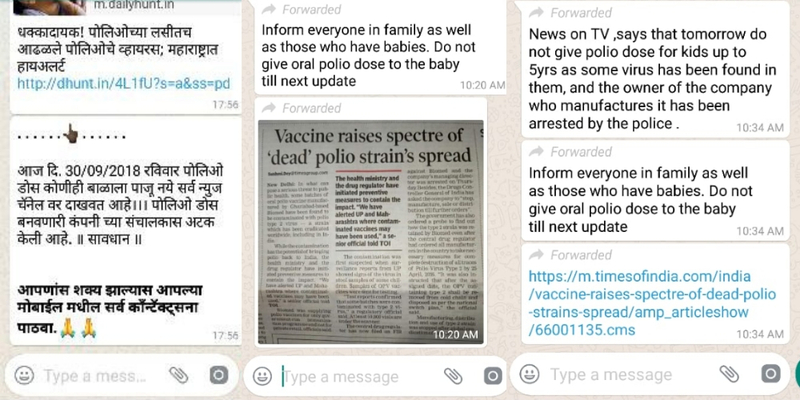 These messages that went viral in the last week of September followed news reports that a batch of oral polio vaccine manufactured by Ghaziabad-based company Biomed was found to be contaminated by strains of Type 2 polio vaccine virus. 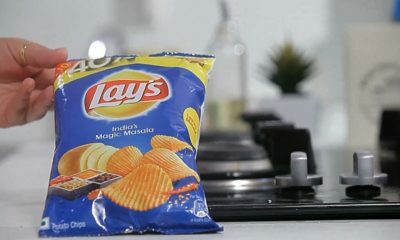 It was supplied in Maharashtra, Uttar Pradesh and Telangana. Some of it was administered to children in Uttar Pradesh, and created much confusion and scare among parents. A user tweeted pointing the confusions regarding the controversy. So much noise about the #Polio vaccine contamination issue in the daycare’s WhatsApp group. Is there a doctor who can explain what the problem is in layman terms? Here are some WhatsApp messages BOOM received on its helpline. BOOM answers key questions about the controversy. Here are some basic questions answered about polio and vaccination against the infection. Polio or poliomyelitis is a viral disease which is highly infectious and mostly affects children between 0-5 years. Polio is caused by three types of wild polio viruses – type 1, type 2 and type 3. The virus is transmitted through the faeco-oral route and affects the nervous system which can lead to paralysis. The infection has no cure but can be prevented by immunization. Primary symptoms of polio are fever, fatigue, headache, vomiting, stiffness in the neck, and pain in the limbs, according to WHO. India reported the last case of wild polio infection in 2011 and the country was declared polio-free by WHO in 2014. Polio transmission is still reported in Pakistan, Nigeria and Afghanistan. How does polio vaccination work? Polio vaccines are of two kinds – Oral Polio Vaccine (OPV) and Inactivated polio vaccine (IPV). OPV is administered orally and consists of live attenuated or weakened strains of polio viruses. They are used as vaccine against infection due to wild (naturally occurring) viruses, thus called vaccine virus. While administered on the body, they imitate infection due to the wild viruses and thus produce antibodies to fight the latter. (Please note this difference between wild polio virus and the vaccine virus for the purpose of reading the rest of the article). Before 2016, trivalent OPV – with P1, P2, P3 vaccine viruses – was used in India. In April 2016, WHO called for a global switch from trivalent to bivalent OPV – P1 and P3 vaccine viruses – as Type 2 wild polio virus was declared to have been eradicated from all countries. In India, the last Type 2 wild polio virus case was detected in the year 1999. Every country was mandated to implement the switch to bivalent OPV and destroy the trivalent vaccines. Inactivated Polio Vaccine (IPV) consists of inactivated / killed polio viruses of all the three strains and are injected or intra-dermally administered. 1) IPV is 5 times more expensive than OPV. 2) IPV provides immunity only to the individual on whom it is administered and does not prevent person-to-person transmission. The virus can multiply in the intestine and be shed through the faecal route. Thus, every child needs to be IPV administered to prevent infection. On the other hand, OPV is considered to have a stronger intestinal immunal response and thus minimizes transmission through the faecal route. Public health doctor Sylvia Karpagam explained how OPV provides immunity to the larger population. When administered with OPV, immunity is spread in the same way the virus is transmitted through the faeco-oral route. This is referred to as the herd immunity. With OPV, even with 85% coverage, the other children will be somewhat protected. OPV is generally used for mass campaigns to contain person to person transmission and during polio outbreaks. 3) Since IPV consists of killed viruses, it poses no risk of vaccine associated paralytic polio (VAPP) which is the not the case with OPV which has weakened viruses. Thus, the former is considered a better option in polio free countries. When India switched to bivalent OPV, it adopted a mixed approach of 3 doses of OPV – in the 6th, 12th and 14th weeks, and 1 dose of IPV in the 14th week. What does the ‘polio vaccine contamination’ mean in the current context? What is the controversy? Recently, routine surveillance detected strains of Type 2 polio vaccine virus in sewage and stool samples. The contaminated vials were traced back to the Ghaziabad-based manufacturer Biomed pharmaceuticals. As per reports, 1.5 lakh vials of the OPV were contaminated. The current detection of weak contamination of Type 2 vaccine virus in OPVs is being referred to as polio vaccine contamination. As mentioned before, it was decided globally to stop administering Type 2 vaccine virus through OPVs by switching to bivalent (Type 1 and 3) vaccine and destroy all stock of trivalent vaccine. 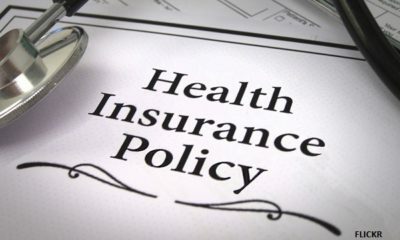 This has raked up a controversy of how the manufacturer managed to bypass government regulations. This has also led to viral messages on WhatsApp asking people not to vaccinate children. BOOM spoke to Dr Naveen Thacker who leads strategic advisory group on Immunization at the International Pediatric Association. He was also part of the Expert Advisory group on Polio for 10 years. He was of the view that there is no need to panic. Thacker said that it is important to note that the contamination by Type 2 vaccine virus found in the OPV was weak and no new virus or wild virus were added to the vaccine. Only one batch was contaminated and it was administered to only 4 districts in UP, and not all vaccines have been used , thus easy to monitor and identify if there is any damage. 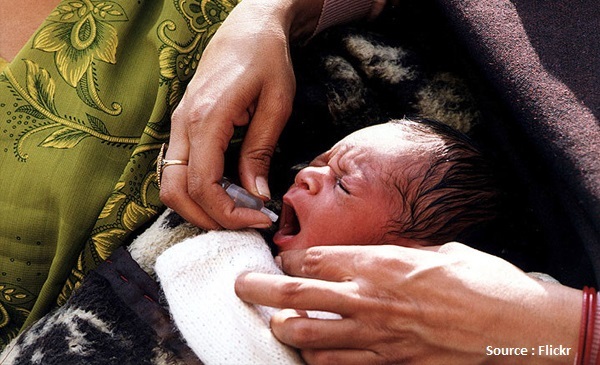 Children above the age of two have received many doses of trivalent OPV during Pulse Polio Rounds and Routine Immunization and after the global switch, children below 2 years have also received IPV. They are not under any risk. “If you are protected from wild virus then you are protected from a vaccine virus,” Thacker said. Only those children who have not received IPV maybe prone to risk. But again, the contaminated OPV had Type 2 vaccine virus not the wild virus. It will be shed in the stool for the next 2-4 weeks. In the rarest of the rare cases, the virus may mutate and circulate for some time but chances of developing polio is very very rare, said Thacker. Public health doctor and researcher Sylvia Karpagam explained how IPV is usually given in the 14th week of birth along with the third dose of OPV. Up to the 14th week, maternal antibodies provide protection against the Type 2 strain. However, an issue arises if the maternal antibody levels are low due to reasons such as the mother being HIV positive and the child is not breast fed. These children are susceptible to the Type 2 strain till IPV is administered in the 14th week. Children who received bivalent OPV and missed IPV are at risk if they are exposed to the strain 2 vaccine virus. The strain 2 vaccine virus can also spread through the faeco-oral route and a child who has received no OPV or only bivalent OPV and no IPV are at more risk of getting vaccine related polio. 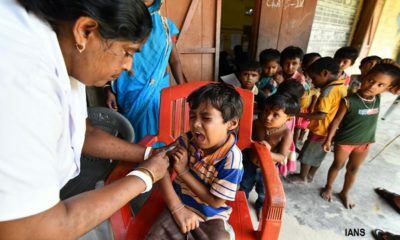 It is not a 100% risk, but these kids are at more risk than those children who received the complete vaccination dose. “Vaccine virus is not as virulent as the wild virus. If the wild virus had been detected in sewage it would have been a public health crisis,” said Karpagam. In this case, it was vaccine virus which was detected in the OPV. “The vaccine virus is a concern because of all the OPV strains, the strain 2 is most likely to cause Vaccine associated Paralytic polio(VAPP) which is why it was removed in the first place. So for the government to say that it is low risk, it is only in comparison to the wild virus. Vaccine virus strain 2 can mutate and no one knows into what form. It could be a mild form or a more virulent form”. Karpagam said it is important to keep the surveillance up. She pointed out how IPV penetration is not 100% while it is required to protect all children. Due to high demand, the district of Agra is facing a shortage of IPV, reported The Times of India. However, it has to be noted that IPV only provides prevention not cure. Karpagam cautions that since the vaccine virus is in circulation , the monitoring should continue. Up to 6 months, if there is not Acute flaccid paralysis (sudden paralysis) – then we can reasonably say that that there is no danger. How the breach happened bypassing government regulations should also be a matter of great concern. “This instance it was not accidental but deliberate storage of the Strain 2 by a company and subsequent contamination”, said Karpagam. The government strongly refuted the rumours and defended the polio surveillance system and maintained that “the risk of any child getting vaccine derived polio disease is practically nil”. The October 3, 2018 government release said that despite India being declared polio free in 2014, the country remains to be vigilant and the surveillance system is robust and sensitive to detect any episode immediately. The annual surveillance is managed by the Ministry of Health and the WHO for detection of polio virus in the country. Around 80,000 stool samples collected and tested in addition to sewage samples from 45 sites in the country. The PIB release stressed that only traces of weakened Type 2 polio vaccine virus was found in the OPV and the recipients will usually shed the vaccine virus through faecal route for about 4-6 weeks after which it will die down. Special efforts are being taken to administer IPV to those children who have not received it in the areas where the contaminated OPV was supplied. It said the population level immunity towards all three virus is high, said the release. 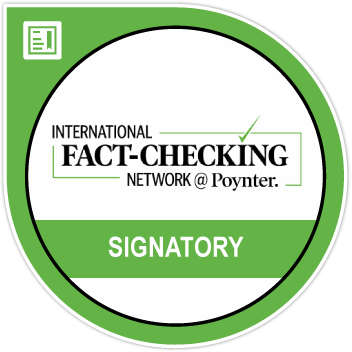 Reacting to rumours, another press release on October 4 clarified that vaccines supplied by other manufacturers were tested to be found meeting standards. It said that the vaccines are safe and all parents to get their children vaccinated.